Shallots Web | What do you bring to the table? 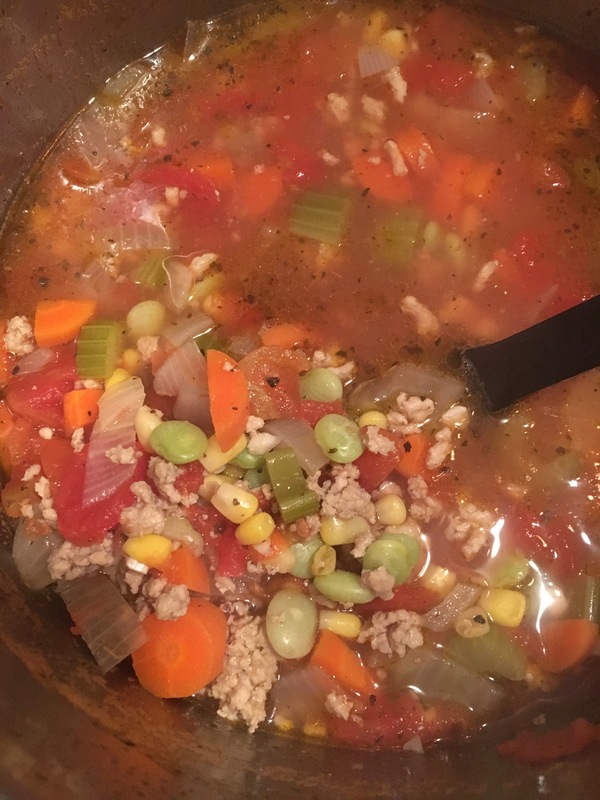 I’ll keep this post as simple as this recipe. I love ice cream. Chocolate is almost always my default, but when I make the time to make my own, I tend to gravitate to whatever fruits are in season. While strawberries are not technically in season right now, I feel like they are more in season now that in, say, November. I went all organic on these ingredients, but I am not convinced that that had any significant effect on the flavor. All I know is that this is easy, delicious, and sure to please. Looking forward to trying this with peaches and other berries before the weather turns frosty and I turn to bread pudding. 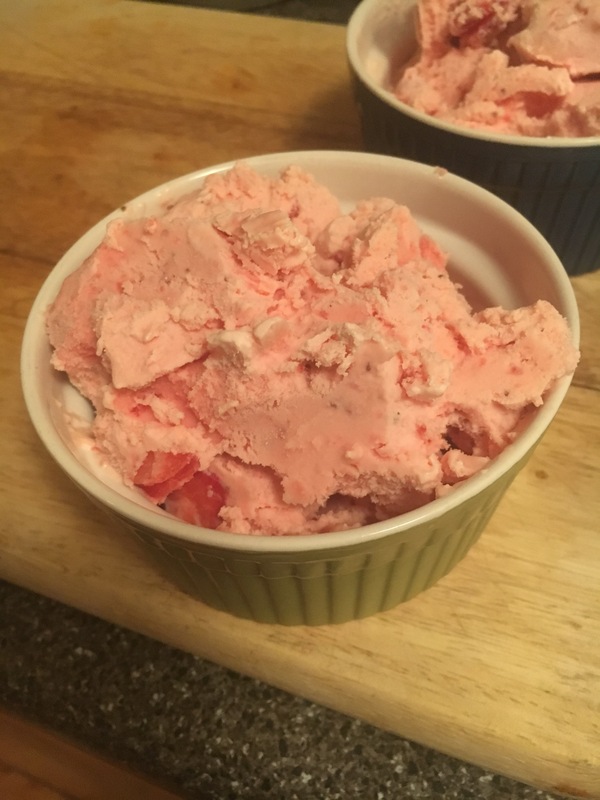 Clean and slice a pound of strawberries into the size you would want to eat in ice cream into a large, non-reactive bowl. Squeeze a little lemon juice over them (no more than a teaspoon). Mix in ½ cup of sugar and let stand for at least 10 minutes, up to 30 minutes, if you have time. Place ½ to ¾ of the fruit mixture in a blender or food processor and puree until smooth. Add two cups of heavy cream and pulse to combine (be careful NOT to whip it/whip it good). Stir in the remaining fruit and transfer to a container and refrigerate for at least 4 hours, or overnight, if possible. Freeze according to your ice cream maker instructions. For this one, try to remove the ice cream from the maker just as soon as it sets and isn’t too freezy. Particularly good for breakfast.